“We are under instructions from President Abdel-Fatah El-Sisi that Egypt organise a year of culture in Russia in the year 2020, and we are currently preparing for this event which reflects the growing strong relations between Egypt and Russia,” Abdel-Dayem said. 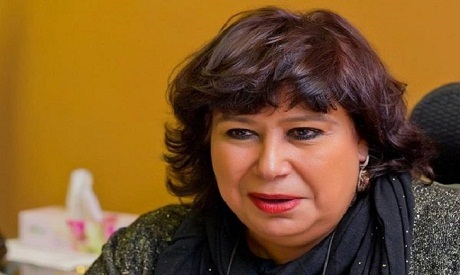 She also revealed that the year 2019 will see intensive cultural cooperation between Egypt on the one hand and France and the continent of Africa on the other. Abdel-Dayem also said that 2019 will be the year of Egypt and France. “We have just concluded the agenda of cultural cooperation with the French embassy, and we agreed that the Opera of Paris will participate in this event and that a number of Egyptian cultural activities will be organised on the streets of Paris,” Abdel-Dayem said. However, Abdel-Dayem complained that state budgetary allocations to the Ministry of Culture are very limited and do not help it achieve a cultural renaissance. MP and novelist Youssef El-Qaeed complained that the low budget does not help the ministry produce films or renovate theatres in Cairo and Alexandria. “The budget should be considerably increased to stand up to cultural attacks and invasion coming from the internet,” El-Qaeed said. In response, Abdel-Dayem indicated that although it is limited, the Ministry of Culture’s budget has helped it renovate three theatres in downtown Cairo and they will be opened next January. “We were also able to use this limited budget to renovate six cultural palaces in a number of governorates, but the problem is that we have a lot of work ahead but the budget is very limited,” Abdel-Dayem said. Abdel-Dayem added that the museum of Egypt’s late Nobel laureate Naguib Mahfouz is under construction. “But we have a lot of problems because the museum is located in Cairo’s densely populated district of Gamaliyya, where Mahfouz was born, and we are currently coordinating with the governorate of Cairo and the Ministry of Antiquities to help complete this museum,” Abdel-Dayem said. “They also republish Egyptian books without getting the prior consent of their writers,” MP Osama Sharshar said.